If your members and customers are still using older versions of web browsers, soon they won’t be able to process transactions online — including payments made through your Wild Apricot website. On June 30, 2018, the Payment Card Industry Security Standards Council (PCI SSC) will require all online credit card processors to retire support of a security protocol called TLS (Transport Layer Security) version 1.0. Going forward, all credit card payments made on the internet must be processed using TLS version 1.1 or 1.2. This is to increase the security of online transactions on the internet. To comply with this, Wild Apricot will be upgrading its services to require TLS version 1.2 for all online transactions on March 12, 2018, starting at 2:00 AM (ET). Unfortunately, many older versions of popular web browsers like Google Chrome, Internet Explorer, or Firefox are not able to support TLS version 1.2. 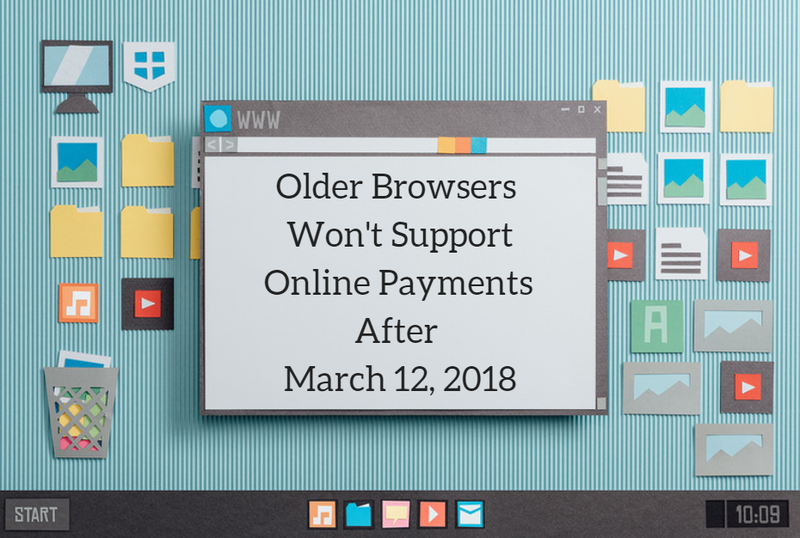 If your members and customers are still using older browser versions to complete online payments through Wild Apricot after March 12, 2018, they will receive an error and the payment will not go through. This problem can be easily fixed by the member or customer by simply upgrading their internet browser to the latest version. If someone needs help updating their internet browser, direct them to this tutorial, which covers all the major browsers. For a list of all web browser versions supporting TLS version 1.2, click here. If you’re unsure whether your browser does or not, you can run a simple test here. We have also created a help page with a list of popular browsers and their minimum versions supporting TLS version 1.2 here. For any questions related to payment processing, please contact our support team.